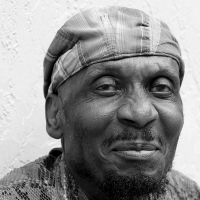 Jimmy Cliff is a Jamaican ska and reggae singer, songwriter, musician, and actor. He is perhaps best known for the songs taken from the soundtrack to the film 'The Harder they Come' (which he also starred in), which helped bring reggae to a mainstream audience. Songs taken from the film include the title track, 'You Can Get It If You Really Want' and 'Many Rivers to Cross'. 'Many Rivers to Cross' has become perhaps one of the most covered reggae songs, with UB40, Martha Reeves, Harry Nilsson, Lenny Kravitz and even Joe Cocker amongst those having a stab at it.